This Pitambari Neelam astrology is unique to know. Blue Sapphire is one of the most auspicious gemstones for Lord Saturn/ Shani. This is the versatile gemstone and gives best result in silver. Before wearing Peetambari Neelam it is essential to consult an expert astrologer. If we talk about the sacred art of planets then a perfect metal for notching Blue sapphire or Peetambari Neelam is silver and it adds to its benefits. As for example, Saturn is a powerful planet in the horoscope and occupies signs of Sun or Jupiter as Leo, Sagittarius or Pisces, then Blue Sapphire gives excellent results in gold for these planets represents gold. Similarly, if Saturn is in the sign of Cancer, then Silver would be the beneficial metal because Cancer is ruled by Moon. If we discuss Ashthadhatu or a mixture of 8 metals; these metals are Gold, Copper, Brass, Silver, Aluminum, Tin and Iron. Puitambari Neelam astrology is something different from the belief of the people who prefer making rings in Ashthadhatu. 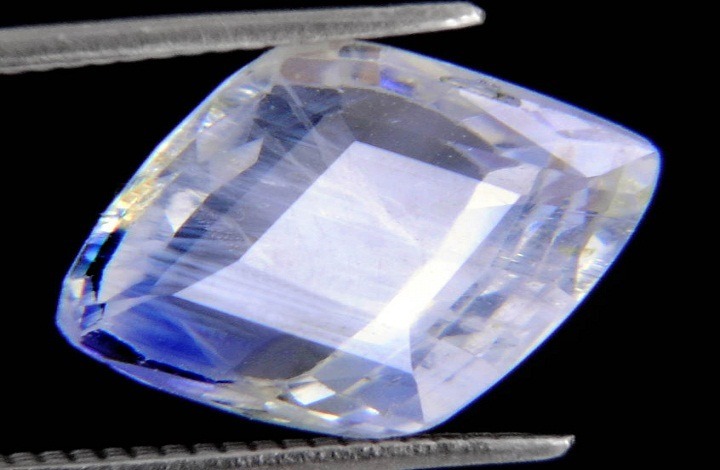 • Setting of blue sapphire in ashthadhatu is not recommended and never explained in any sared texts. • It has been mentioned in some substandard books on planetary gems from Haridwar and self-proclaimed books written from Bihar that ashthadhatucan be used for maing rings but Pitambari Neelam shouldn’t be made in Ashthadhatu. • No ethical astrologer or jeweler would ever mix 8 metal because pure lead may damage other metals. Setting of gems in metals may not turn out to be fruitful; rather in turn, it may cause damage to the gemstone. Pitambari Neelam is known as Peetambari because it has been derived from two words Peet ( yellow ) Amber ( like blue sky ). Peetambari Neelam is composed of both the colors or we can say it is a bi-colored gemstone. This beautiful gemstone is also known by the name of Ganga – Jamuna; the two sacred rivers in common in Hindi. This is a very powerful gemstone for the one whose horoscope has Saturn sitting on the sign of Jupiter or when Saturn and Jupiter are in combination in a horoscope. This is the same logic which applies to Jupiter. But a very powerful gemstone should be worn after proper consultation because it may lead to damage if not worn as per the position of the planet in the horoscope. One can visit AstroKapoor’s office or buy online this certified precious gemstone.